Would you like to register as a new member of Nollywood Producers Guild USA? Be part of our growing membership network and help us fulfill our goals of lifting up the spirit of Nollywood filmmaking in the land. Work with enthusiastic people and learn along about more and more. 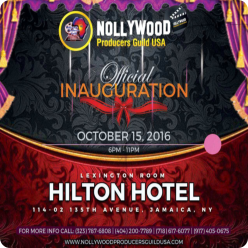 Nollywood Producers Guild USA has a lot in store for you and your talent. Register here by completing the form below. Please make sure all information you entered are correct before submitting. Shine with us! This is where your journey begins.